​Roman Abramovich is under the impression that he will be unable to prevent Chelsea talisman Eden Hazard from leaving the club this summer. The Belgium international has been flirting with a move to Real Madrid for a number of years and things finally appear to be coming to a head for hi, this season, with Chelsea's recent transfer ban just the latest setback in the hopes of keeping the 28-year-old at Stamford Bridge. 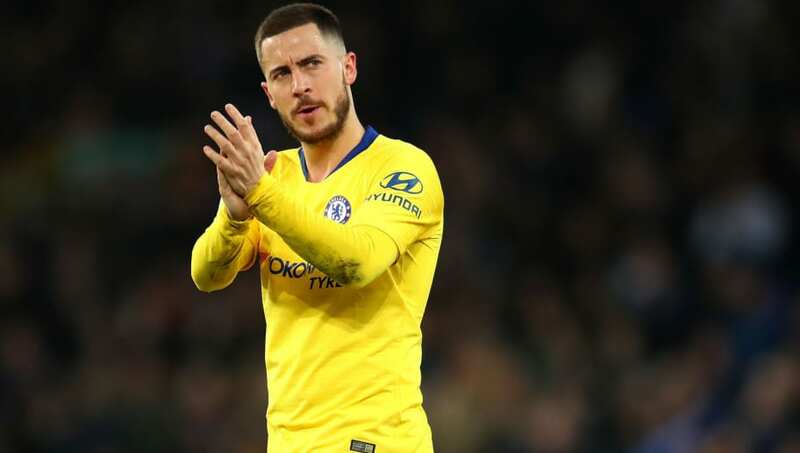 Spanish publication AS have added to Chelsea's woes by reporting that the club's owner Abramovich, as well as transfer mastermind Marina Granovskaia, are resigned to losing Hazard to Real Madrid at the end of the season. Even though the club are currently attempting to fight their transfer ban - as things stand Chelsea are unable to sign new players until the summer of 2020 - they're preparing for life without Hazard, regardless of the outcome of their appeal. The 28-year-old has spent the last seven years in west London following a £31.5m switch from French side LOSC Lille, making 339 appearances for Chelsea and helping them win two Premier League titles, an FA Cup and the Europa League. But Hazard's love affair with Real Madrid is one of the worst-kept secrets in European football, and the Belgian was especially longing for a move to the Santiago Bernabéu during his idol Zinedine Zidane's first spell at the club. Although Hazard never stopped wanting to join Real Madrid if he was to ever leave Chelsea, the re-appointment of Zidane in the Spanish capital has only increased his interest in joining Los Blancos.